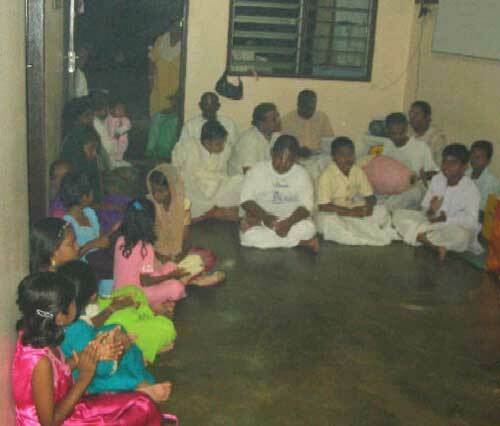 SRI CHAITANYA SRIDHAR GOVINDA SEVA ASHRAM, SITIAWAN, PERAK, MALAYSIA. Especially made altar for His Divine Grace. 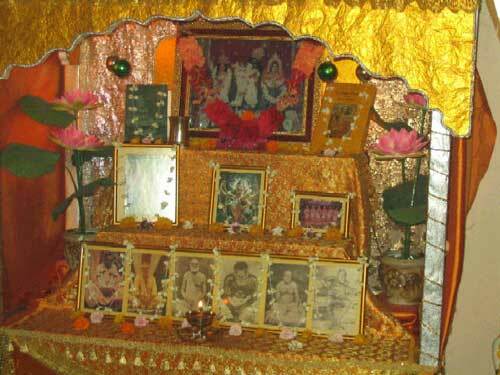 The main altar at the Ashram. 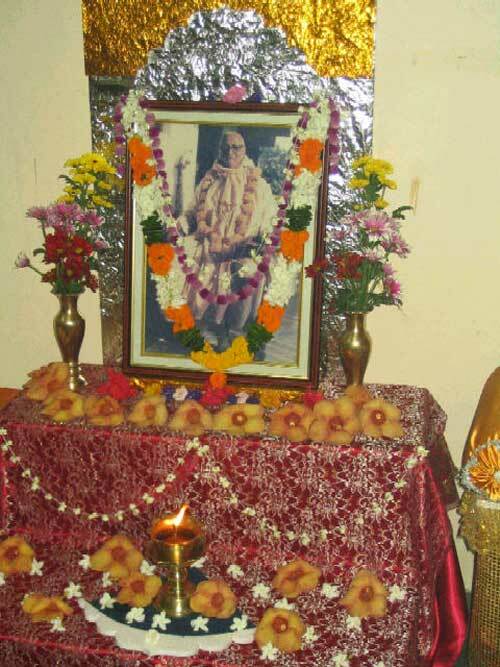 Kirttan after Sri Guru Arati for His Divine Grace Jagat-Guru Sri Srila Bhakti Sundar Govinda Dev-Goswami Maharaj followed by Sri Gaura Arati. 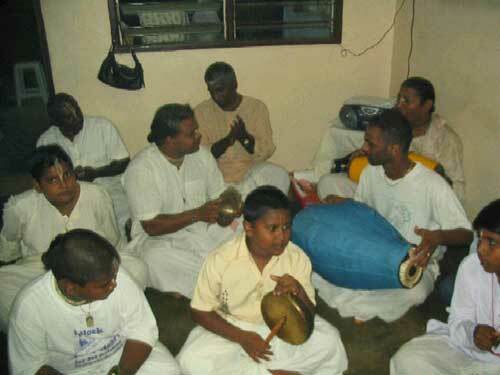 Kirttan during offering pushpanjali. Other local devotees joined us in glorifying His Divine Grace. 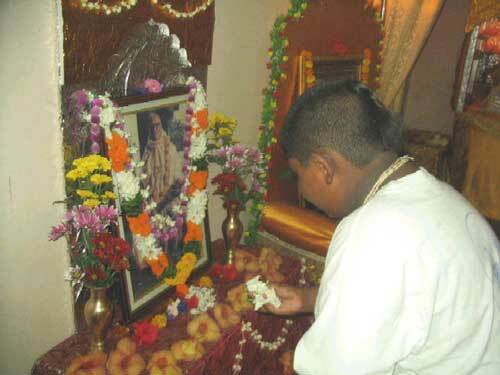 Revati Nandan Prabhu, son of Baladeva Prabhu, offering pushpanjali. 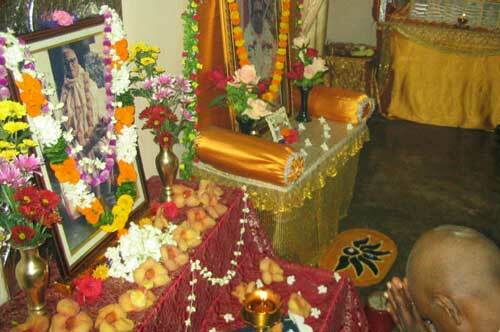 Dasarath Prabhu one of our senior devotees who has seen His Divine Grace, offering pushpanjali. He collected the bhoga for today's feast. 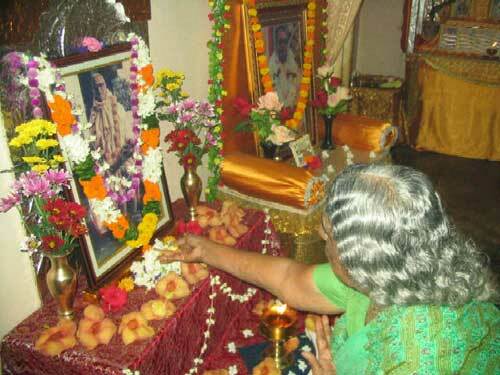 Rukumani Mataji, Vasudev Krishna Das Prabhu's mother, offers pushpanjali.